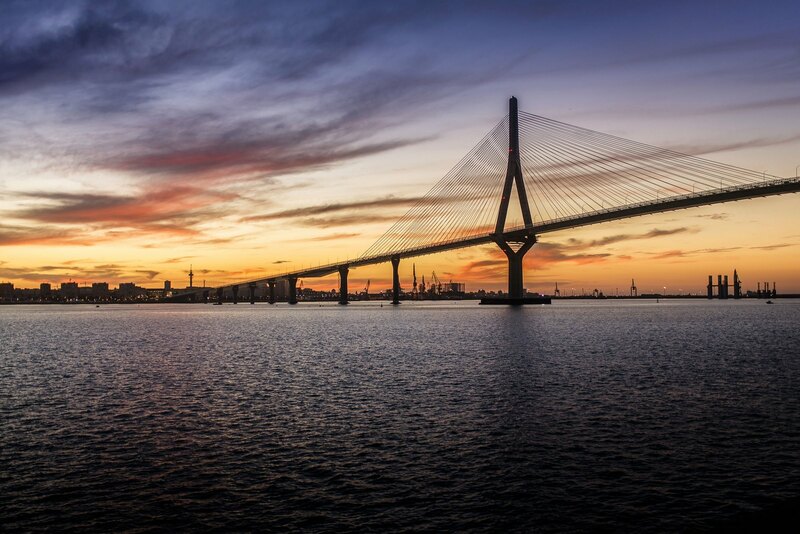 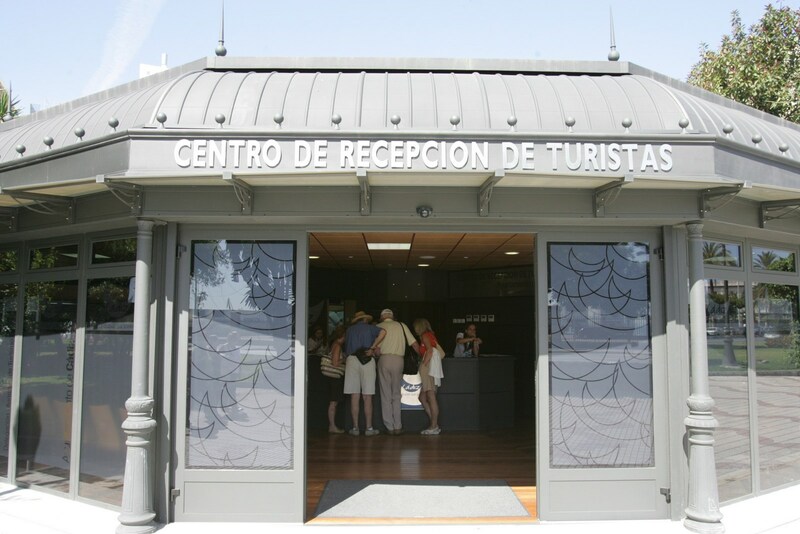 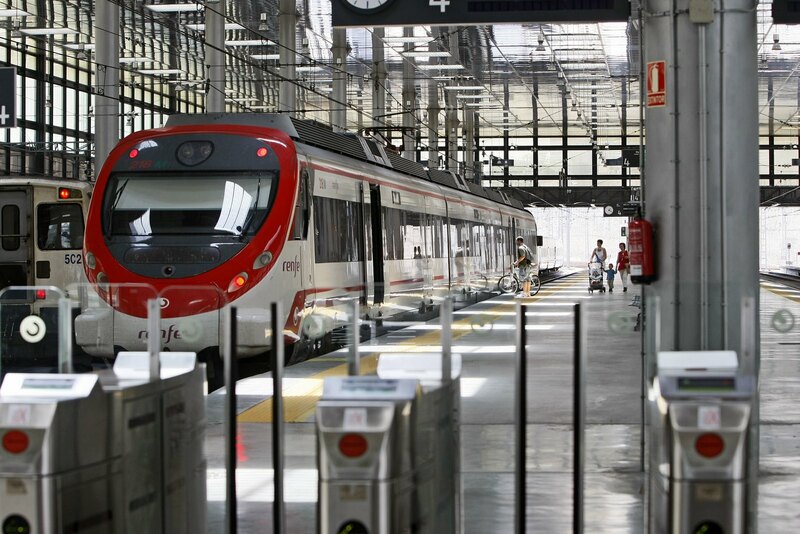 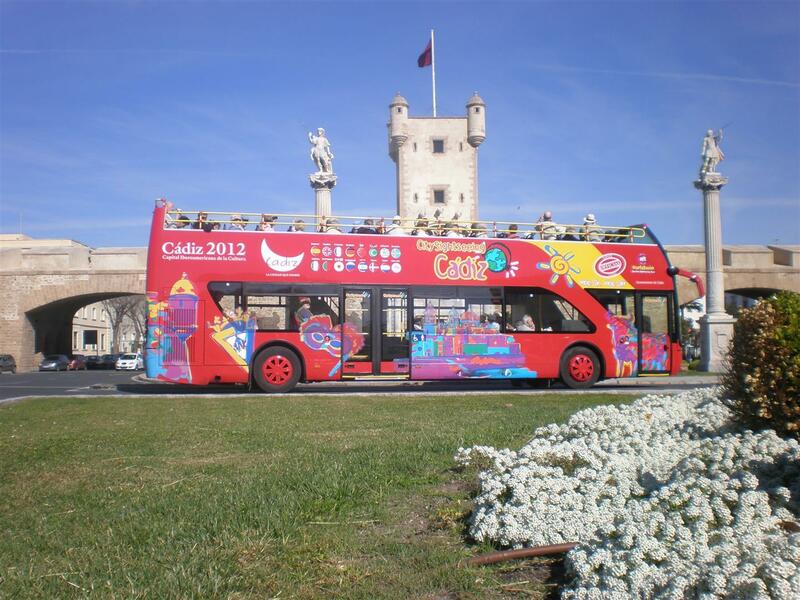 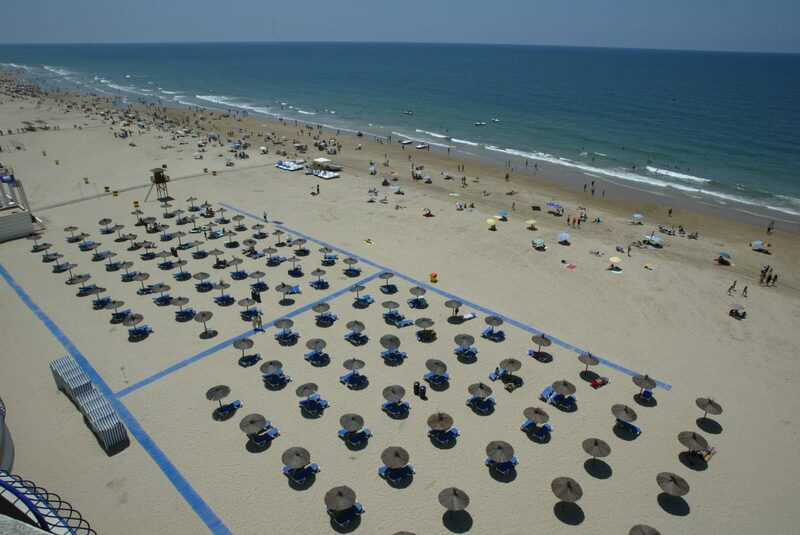 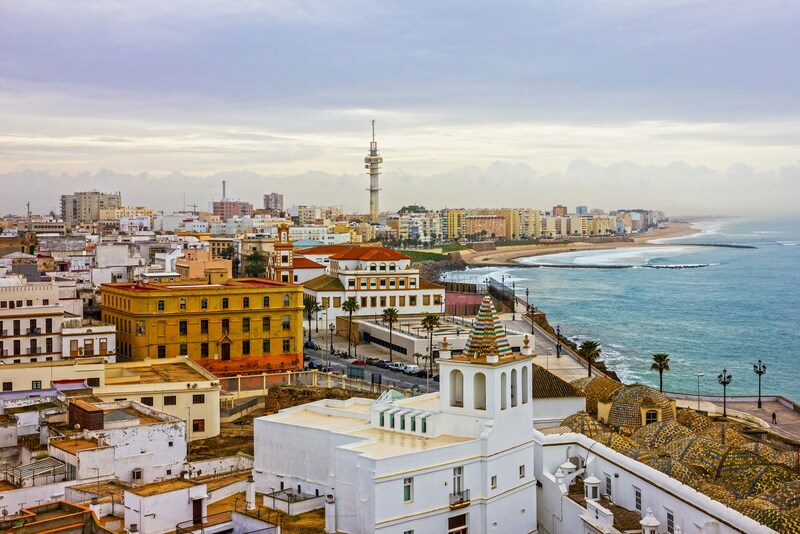 The city of Cádiz has become in recent years an outstanding MICE destination, offering great facilities and services to professionals coming to the city for this purpose. 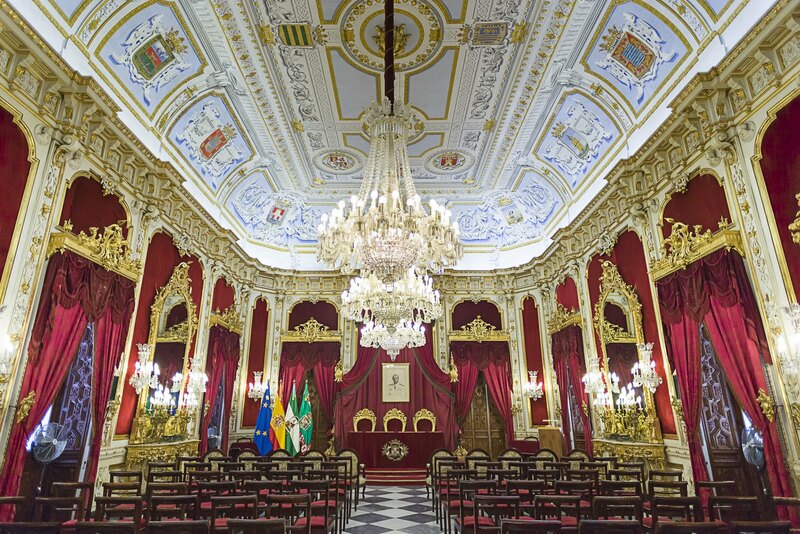 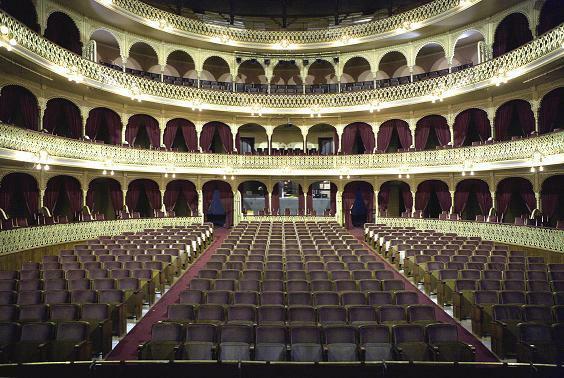 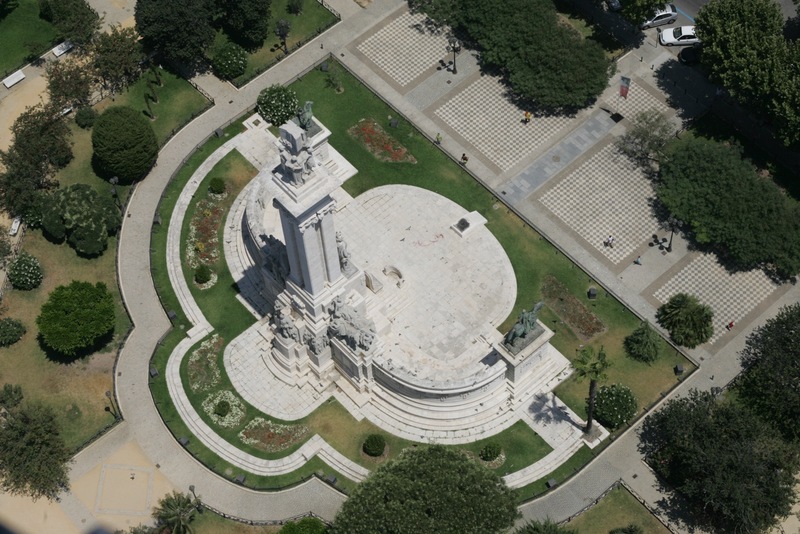 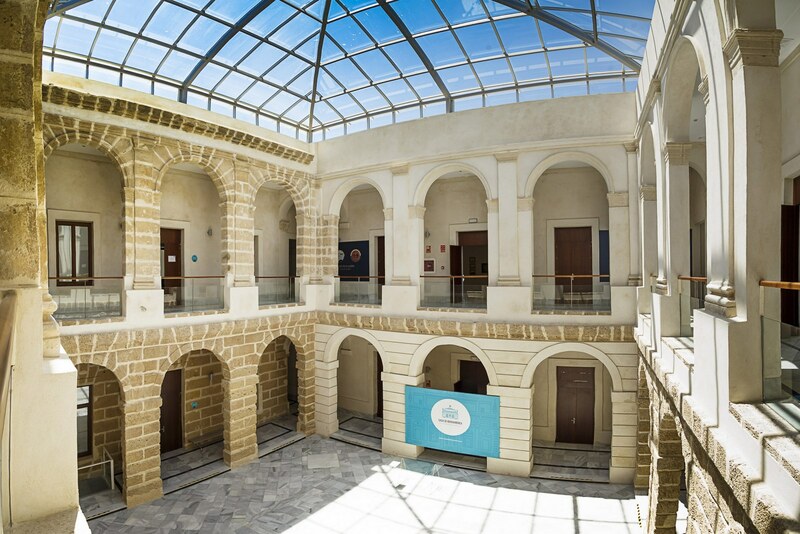 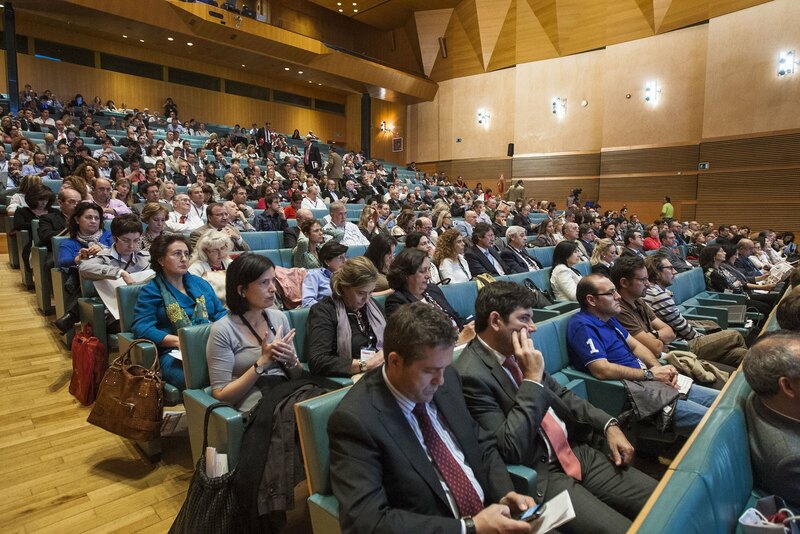 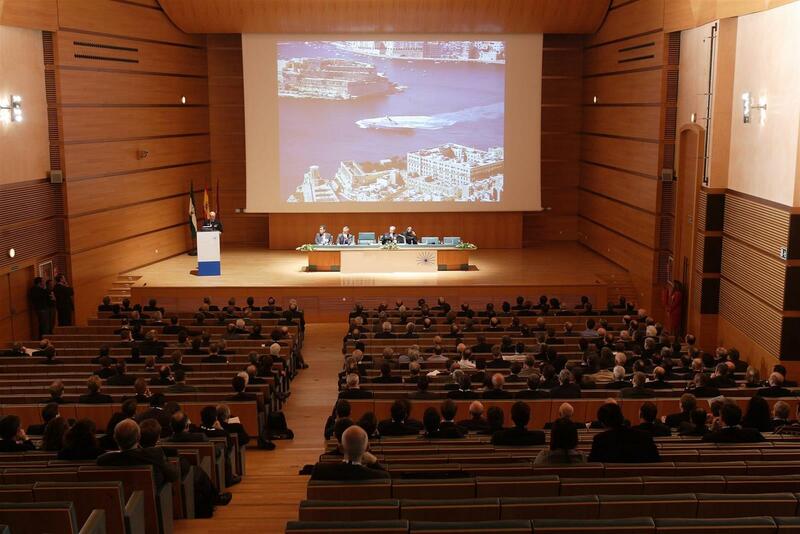 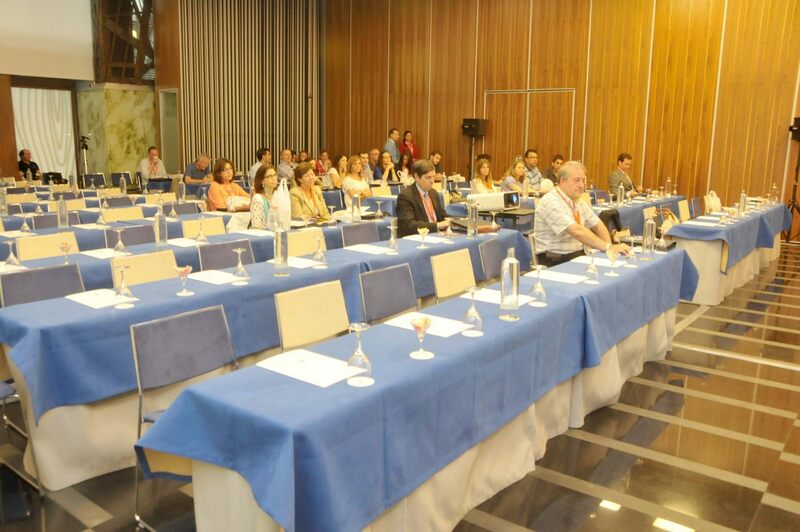 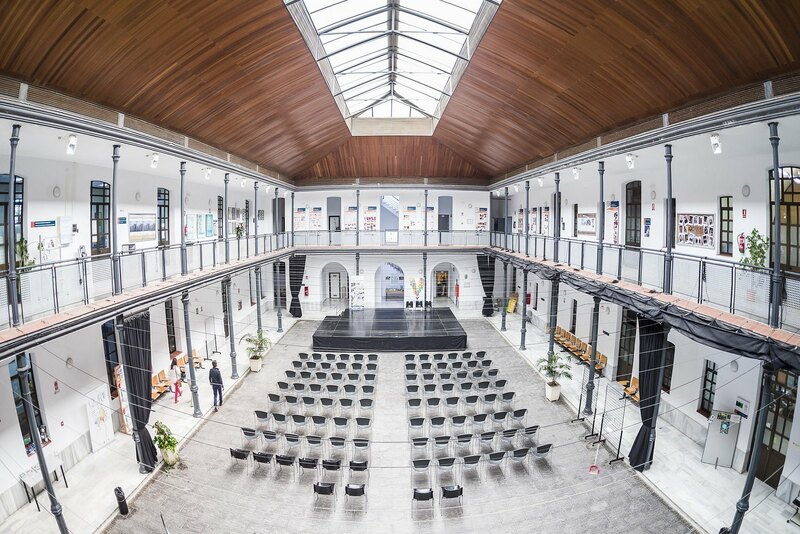 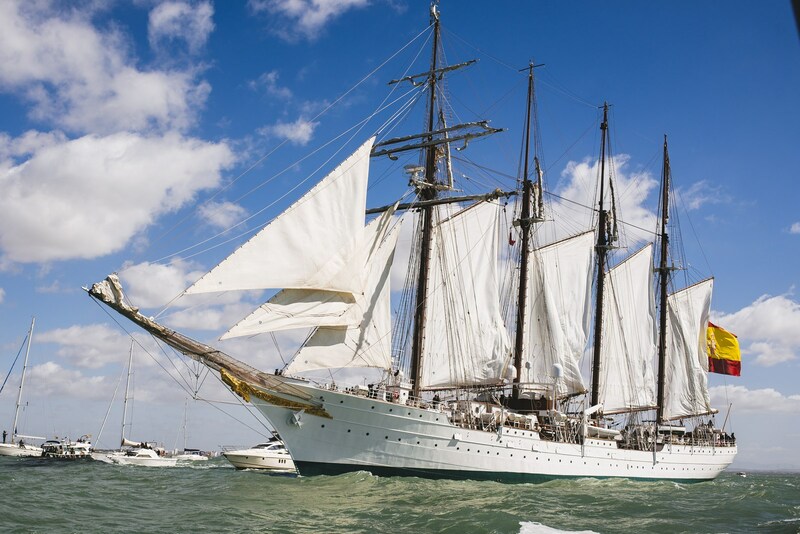 In recent years, Cádiz was selected to hold important and prestigious national and international conferences on various topics (technological, medical, scientific, university, etc.). 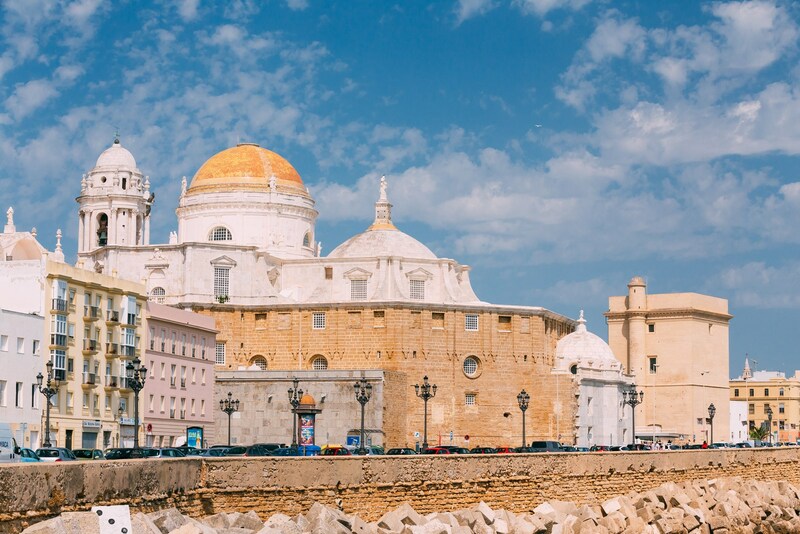 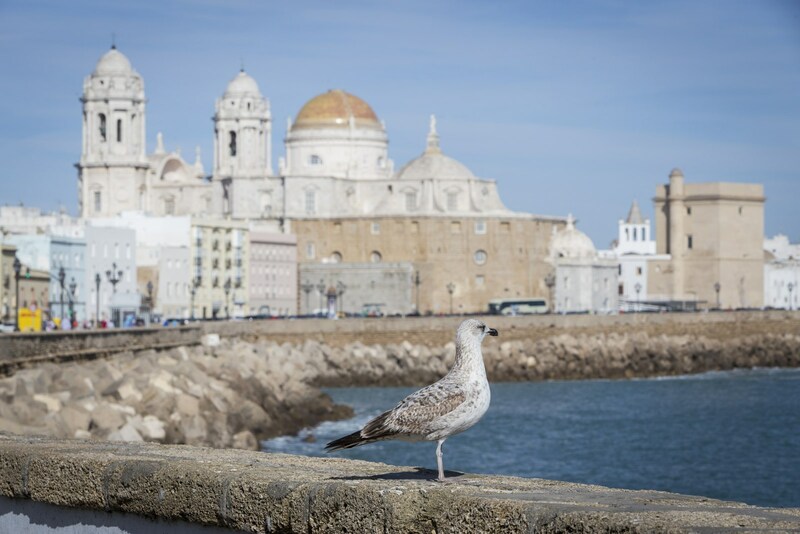 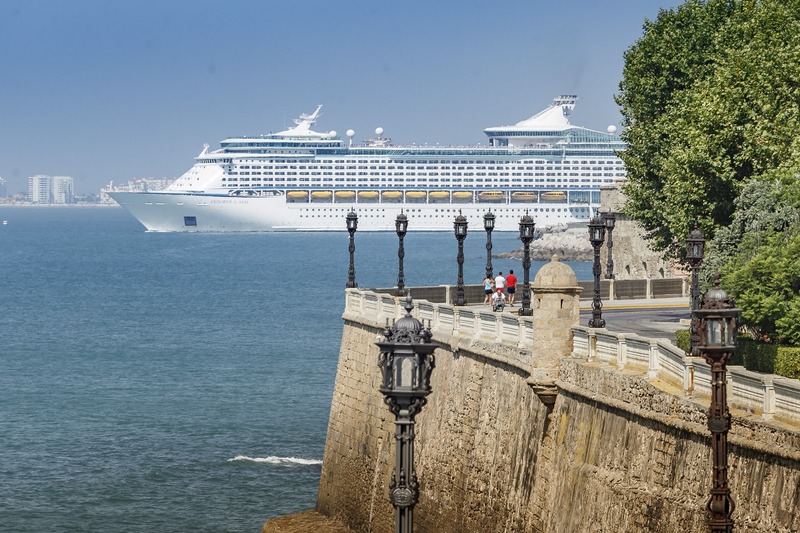 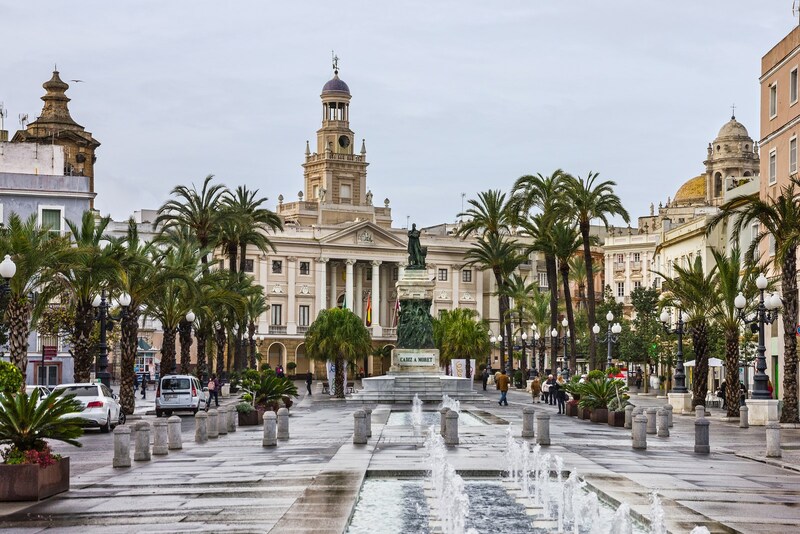 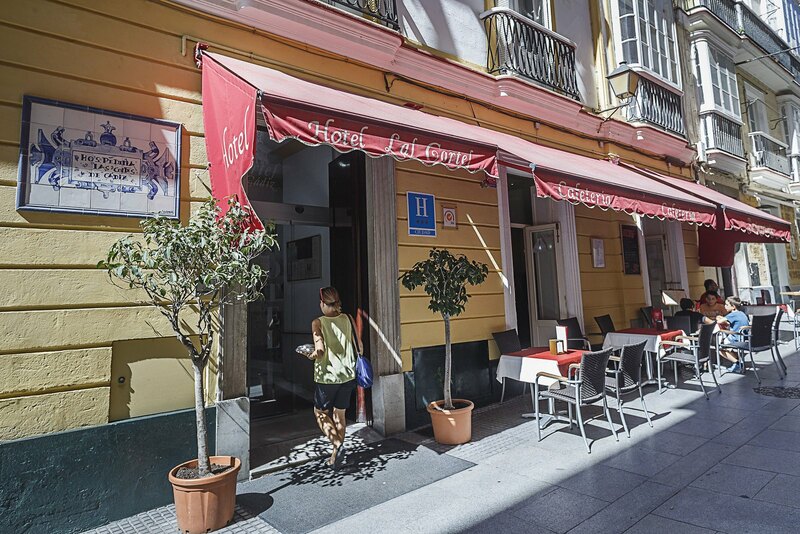 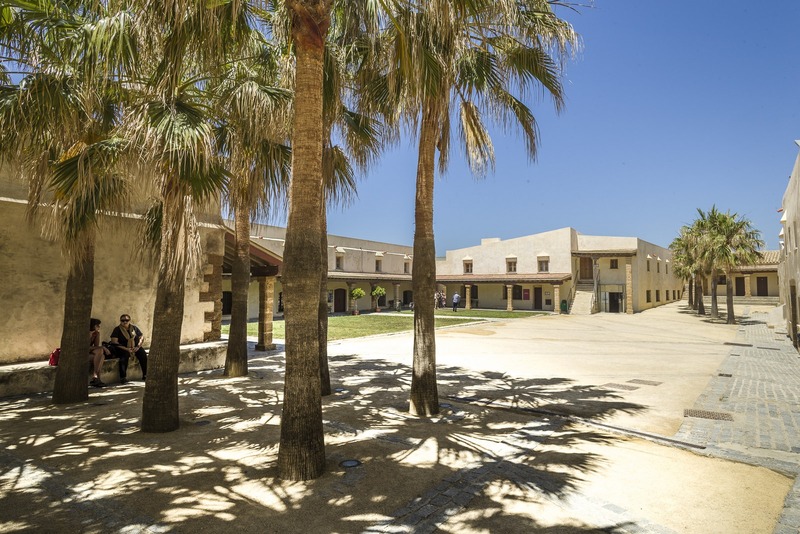 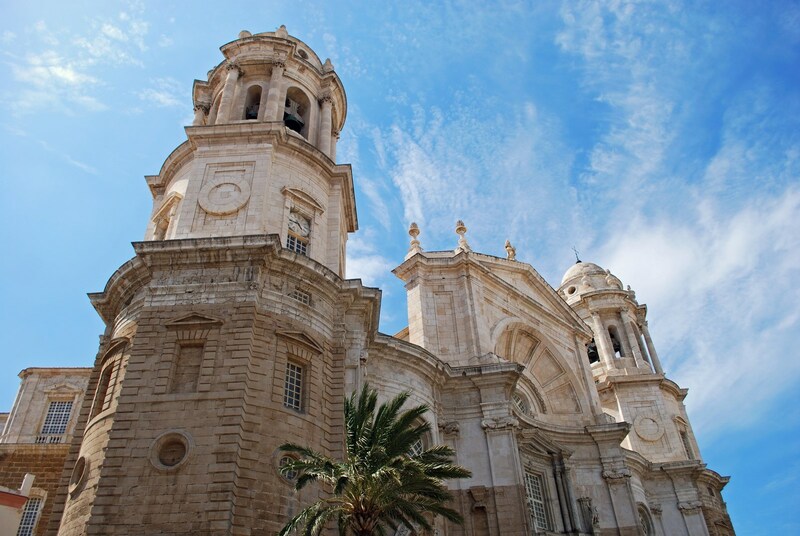 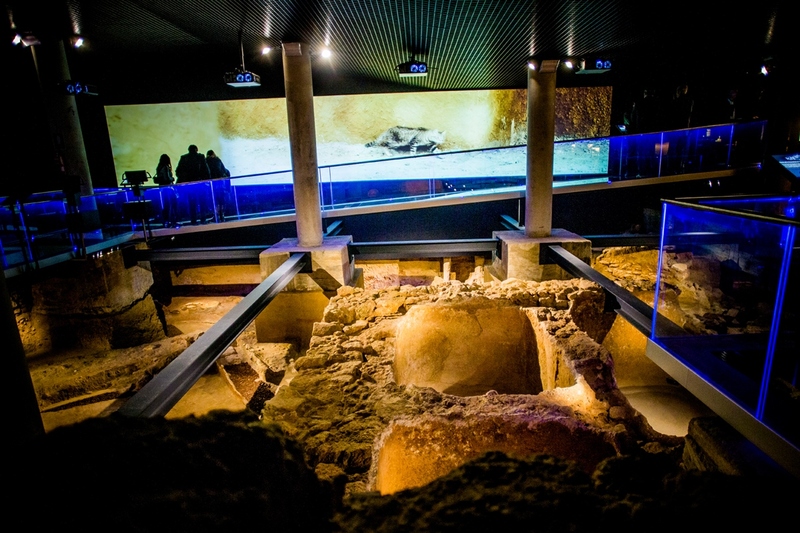 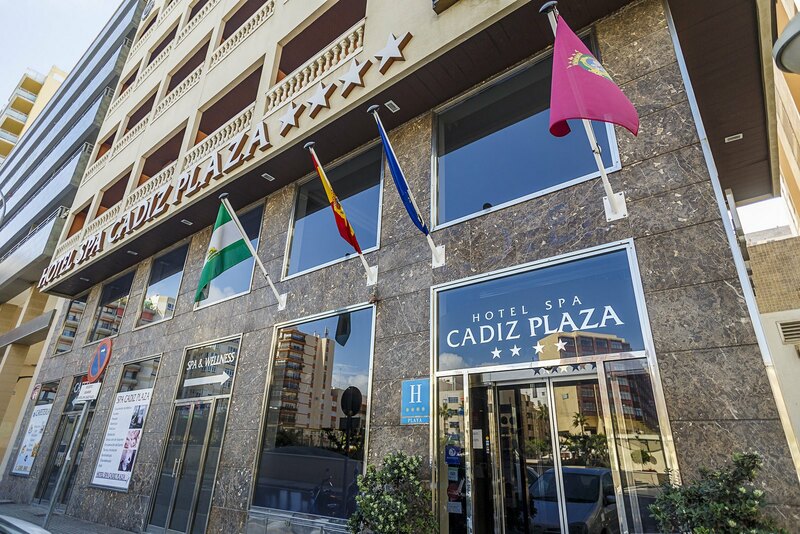 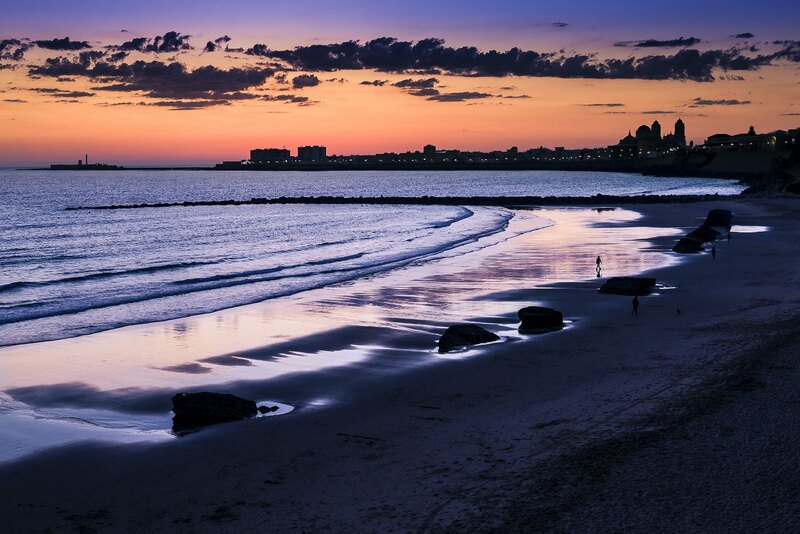 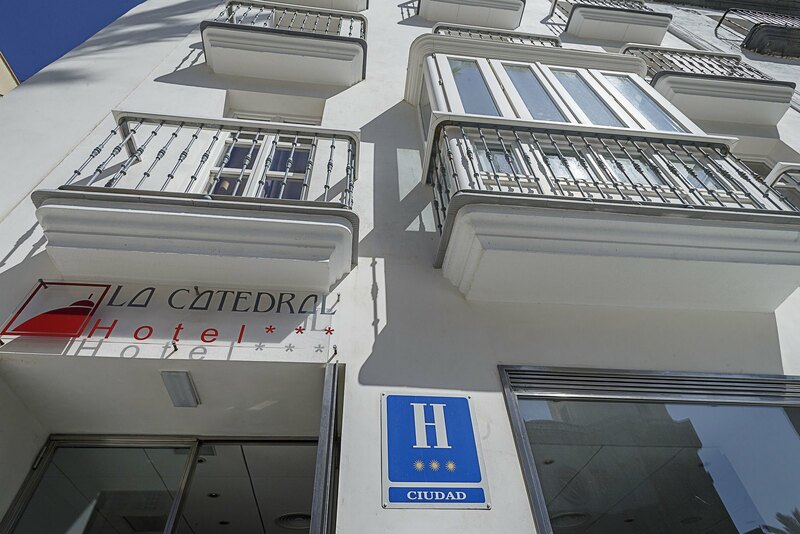 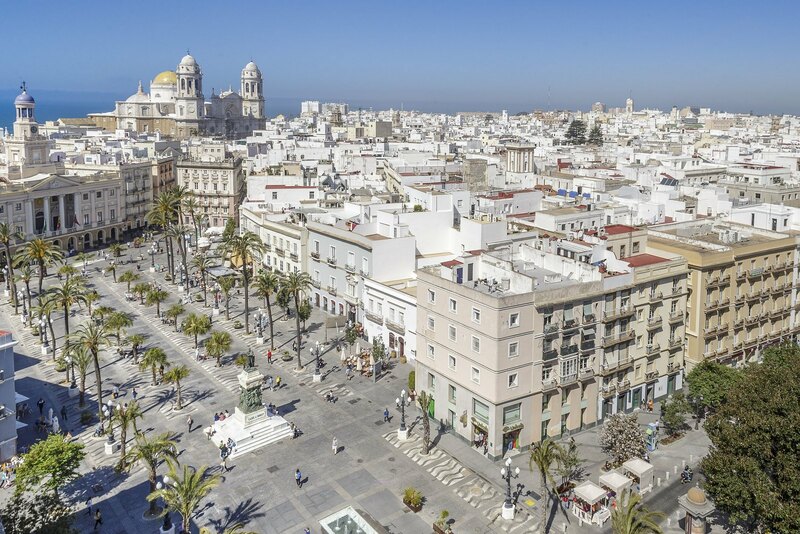 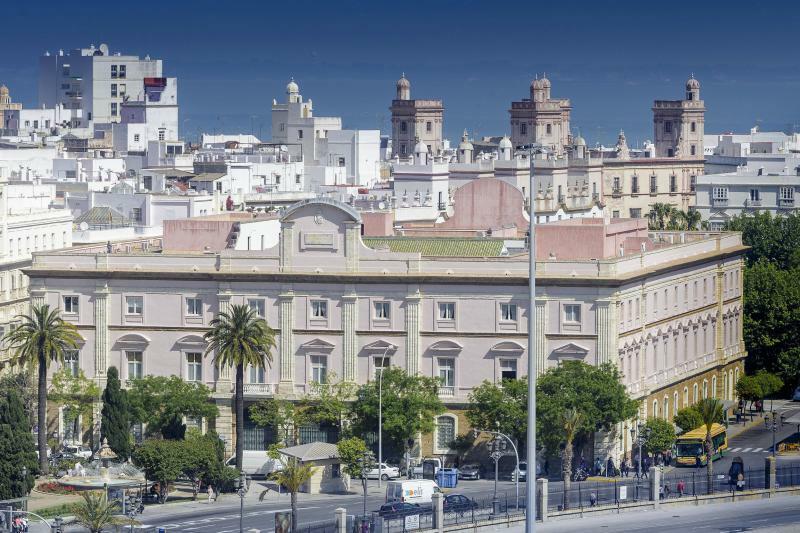 In addition, Cádiz has a rich, wide range of cultural, tourist, and gastronomic offerings recognised both nationally and internationally, which makes the city as a whole greatly appealing for MICE professionals, who seek destinations to hold their professional events. 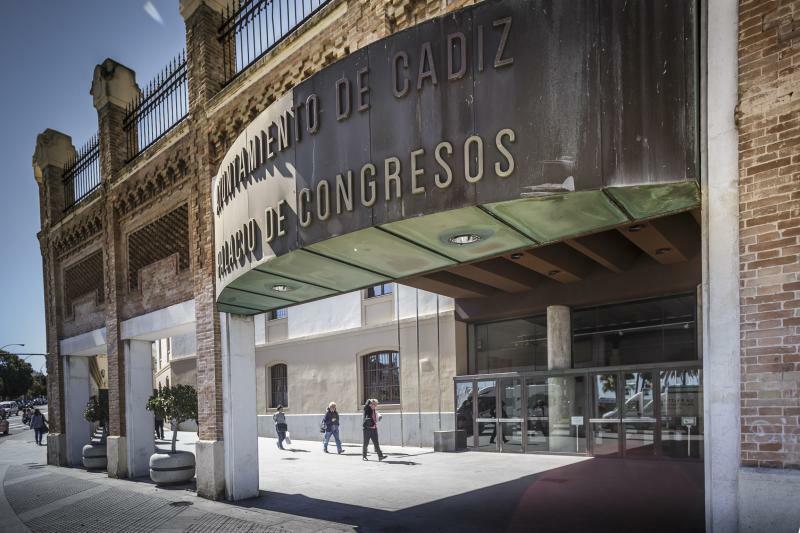 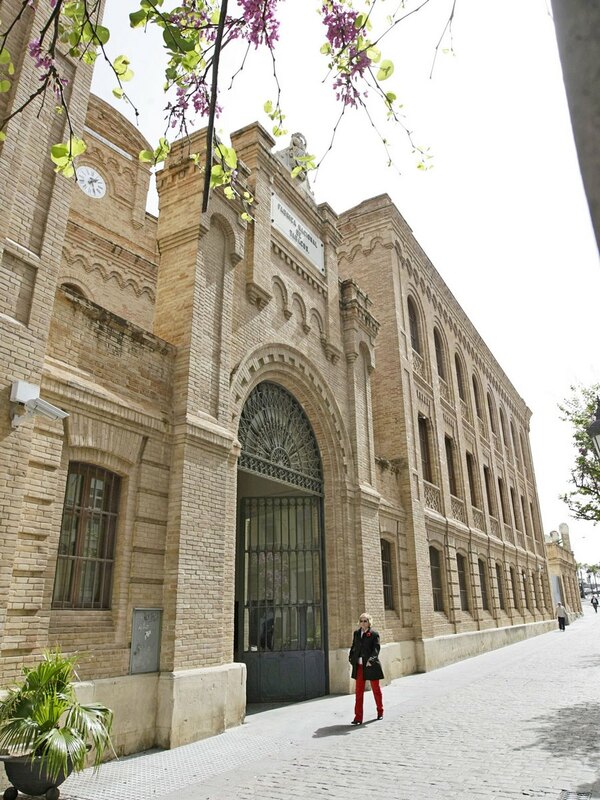 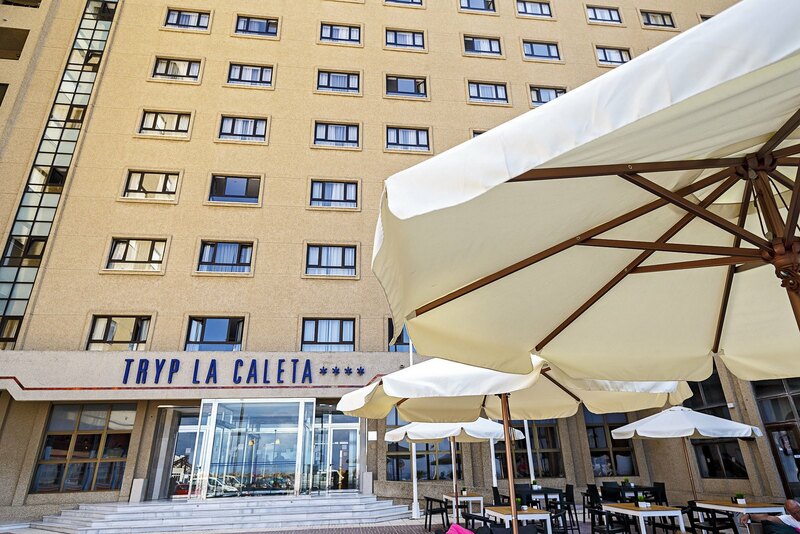 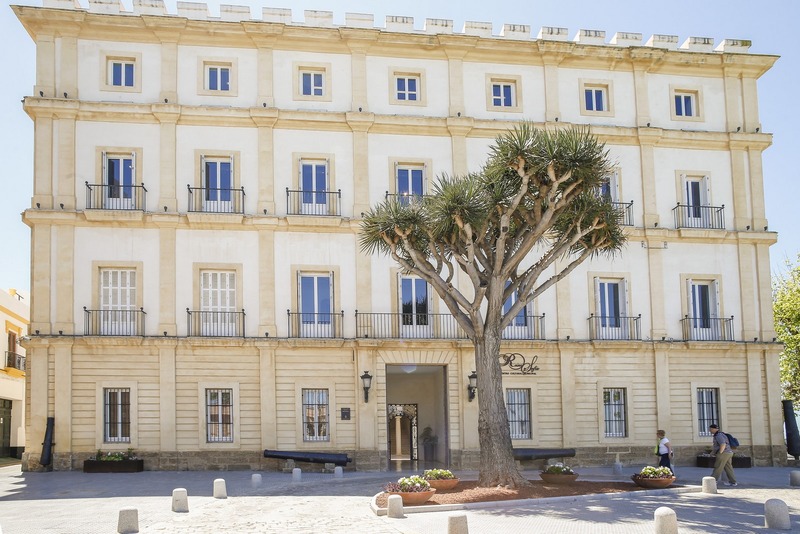 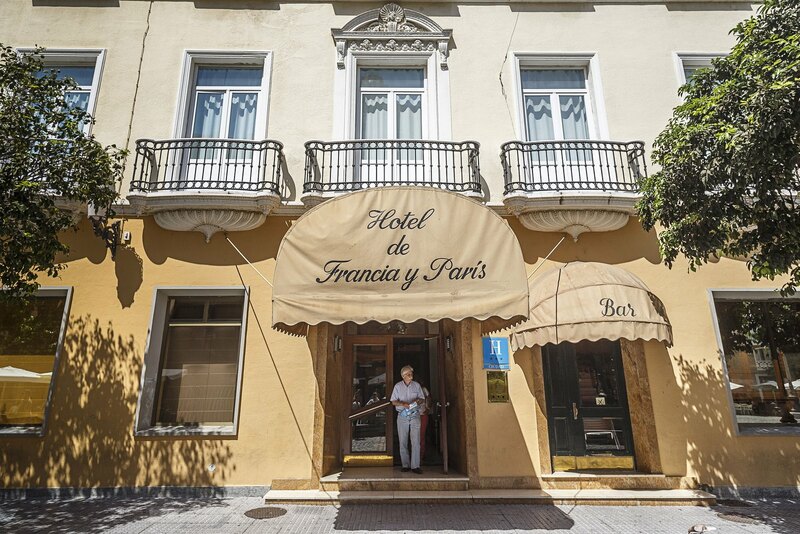 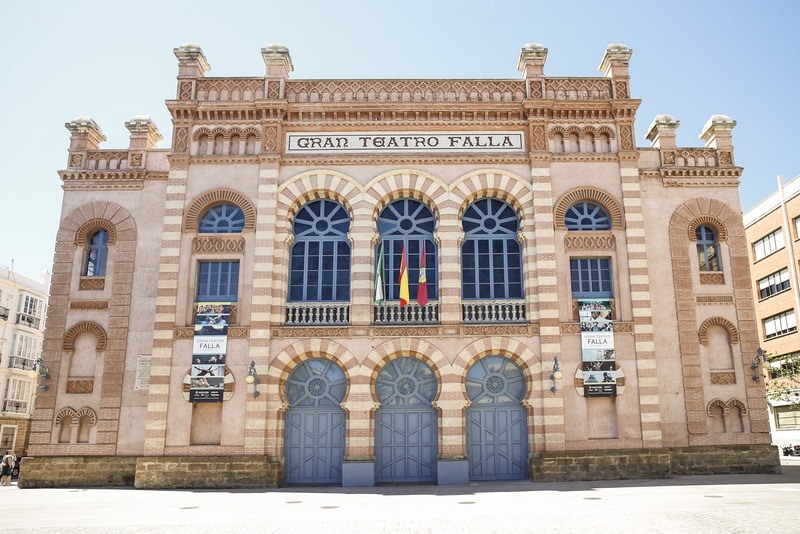 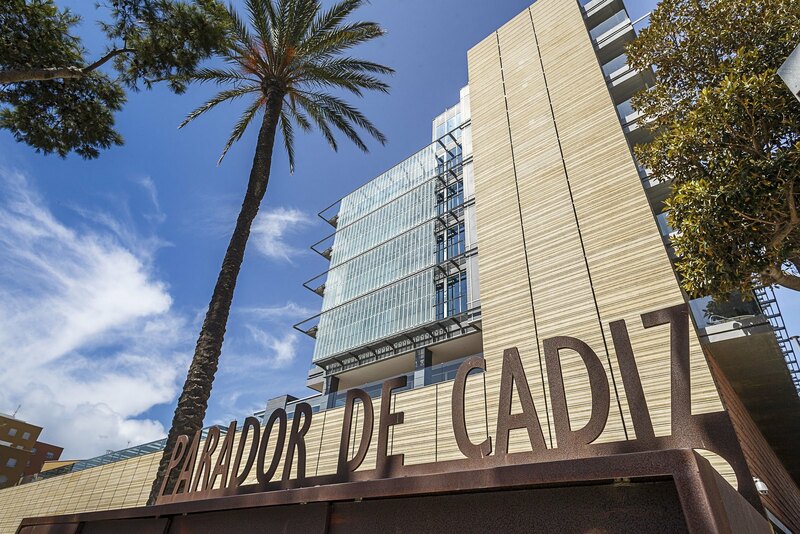 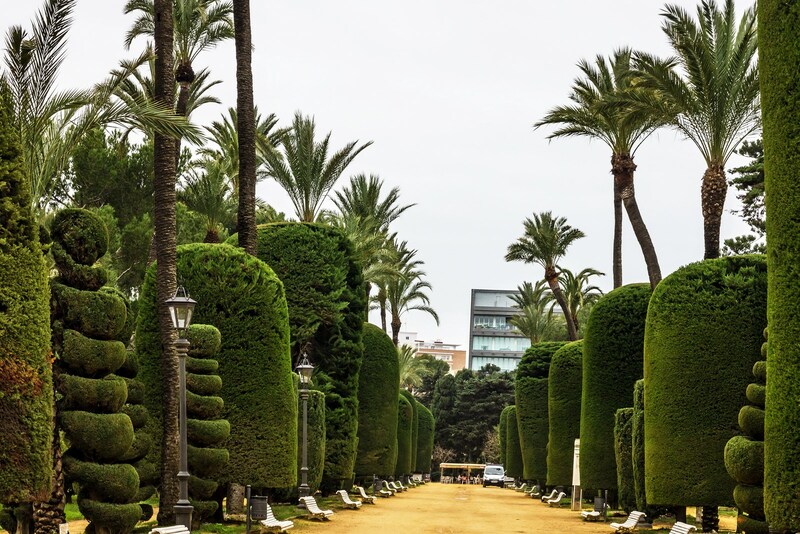 The Palacio de Congresos is in a privileged location, in the middle of the old quarter, next to the railway station and the shopping area, with plenty of parking areas nearby. 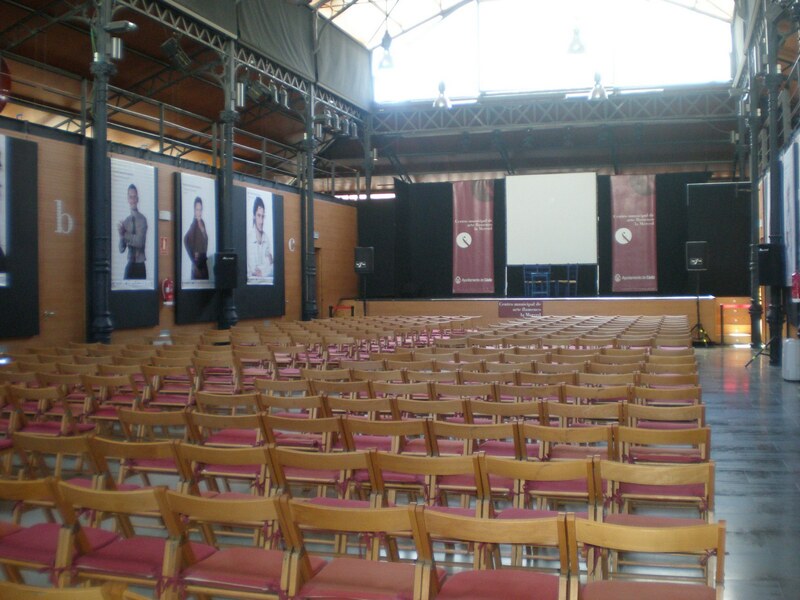 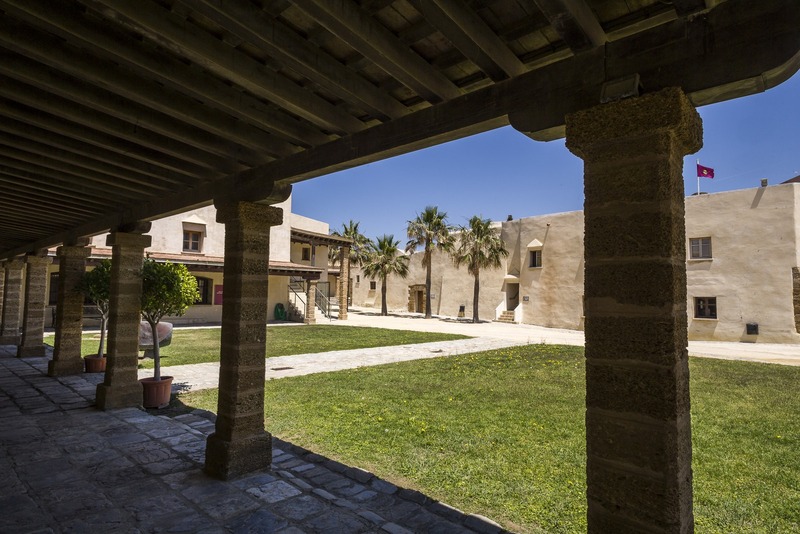 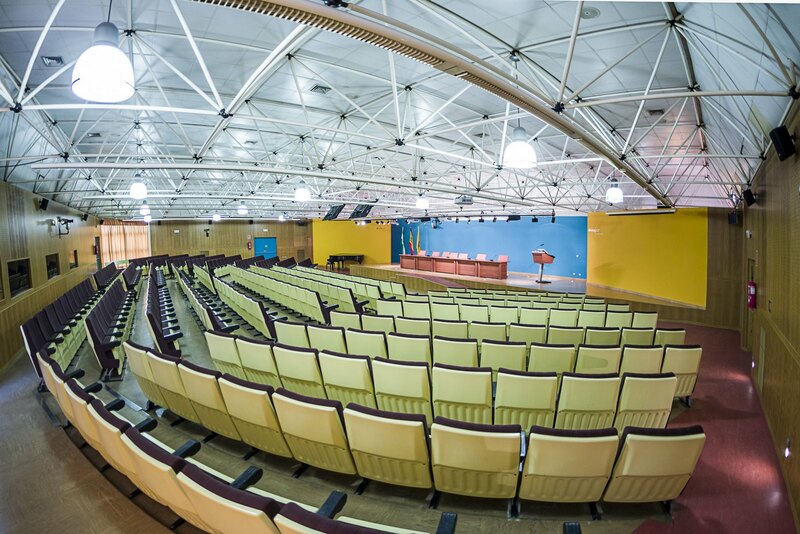 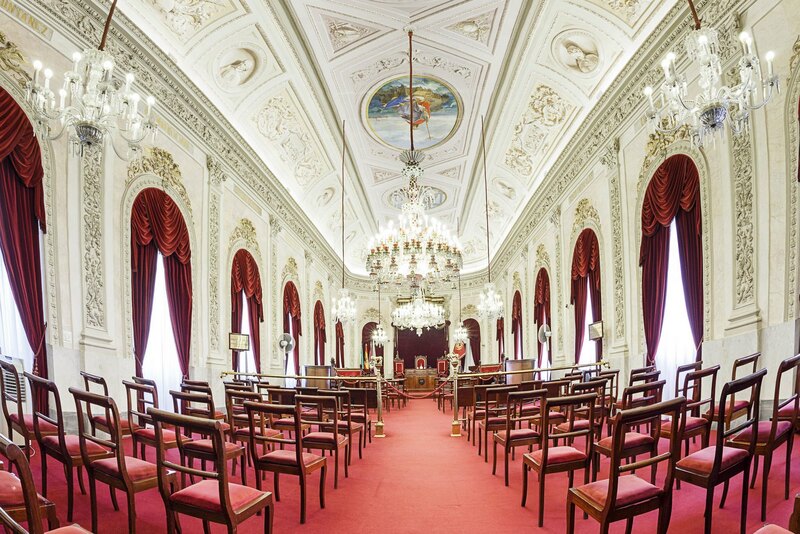 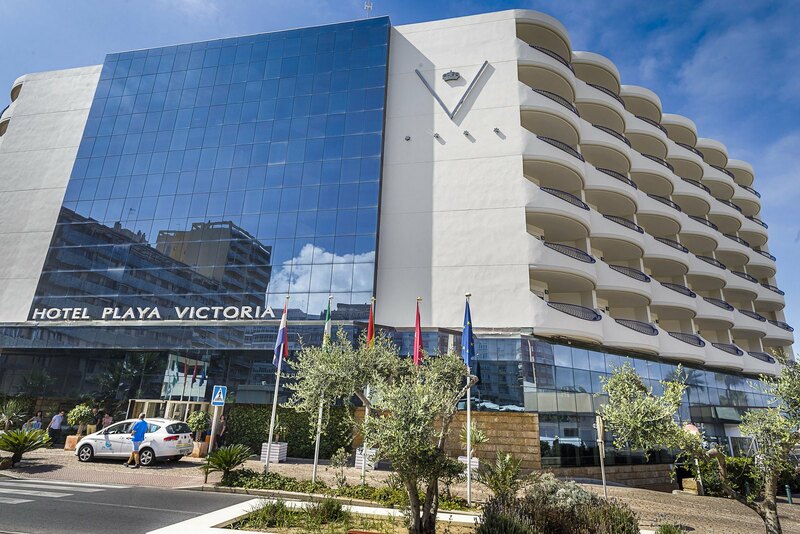 The venue provides a high-quality service and great facilities, with several spaces to hold both small meetings and large conferences, adapting to every user’s needs. 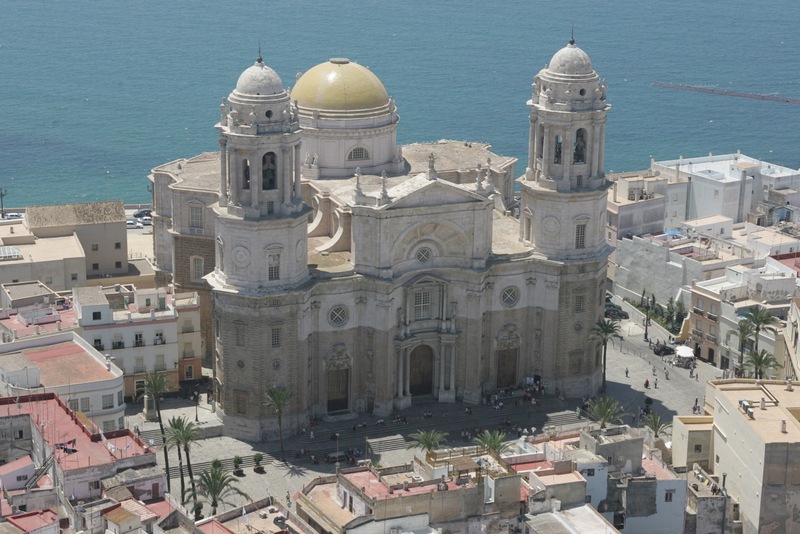 Front of Cathedral featuring its two octagonal towers Cadiz Cadiz Province Andalusia Spain Western Europe. 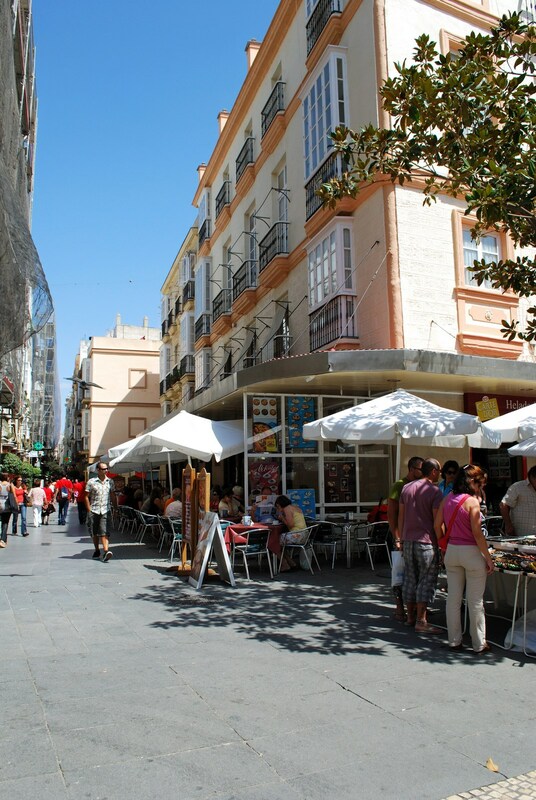 CADIZ, SPAIN – SEPTEMBER 8, 2008 – Pavement cafes in Cathedral Square with Santiago church to the rear Cadiz Cadiz Province Andalusia Spain Western Europe, September 8, 2008. 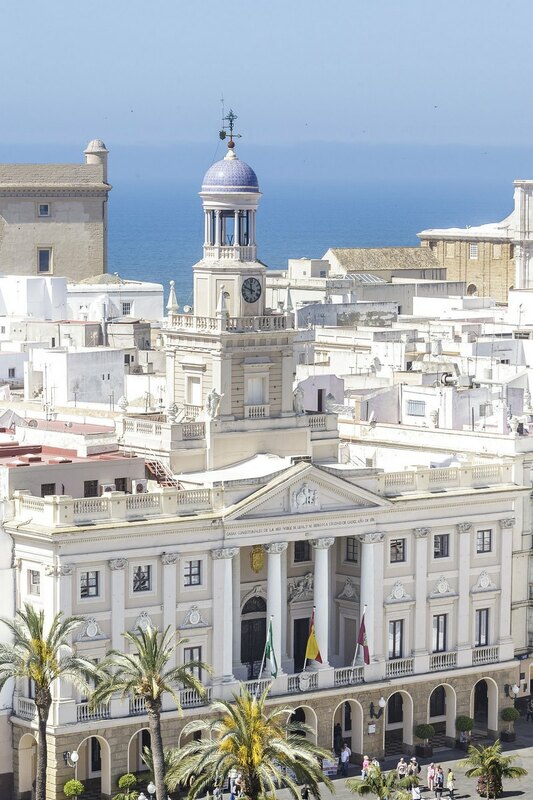 CADIZ, SPAIN – SEPTMEBER 8, 2008 – Elevated view of Cathedral square and city rooftops seen from the Cathedral Bell tower Cadiz Cadiz Province Andalusia Spain Western Europe, September 8, 2008. 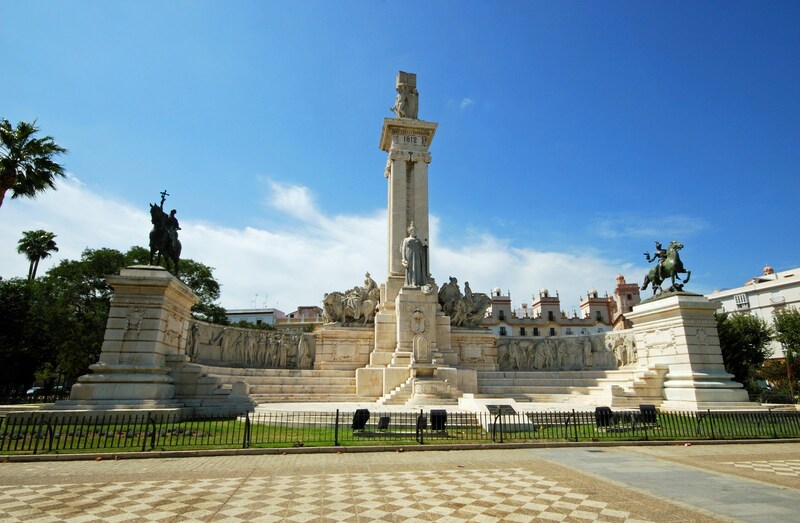 CADIZ, SPAIN – SPETMEBER 8, 2008 – Monument to the Cadiz constitution in the Plaza Espana Cadiz Cadiz Province Andalusia Spain Western Europe, September 8, 2008. 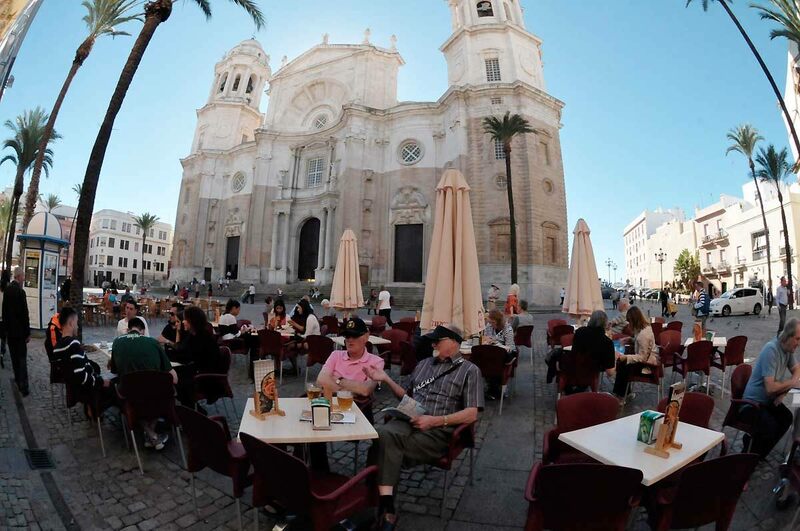 CADIZ, SPAIN – SPETMEBER 8, 2008 – Tourists relaxing at pavement cafes in Cathedral Square Cadiz Cadiz Province Andalusia Spain Western Europe, September 8, 2008. 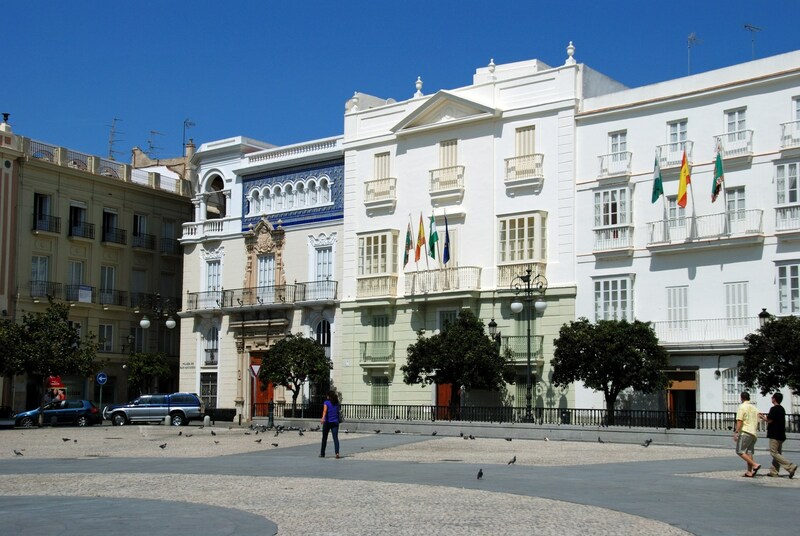 CADIZ, SPAIN – SPETMEBER 8, 2008 – National University of Distance Education building in San Antonio Plaza Cadiz Cadiz Province Andalusia Spain Western Europe, September 8, 2008. 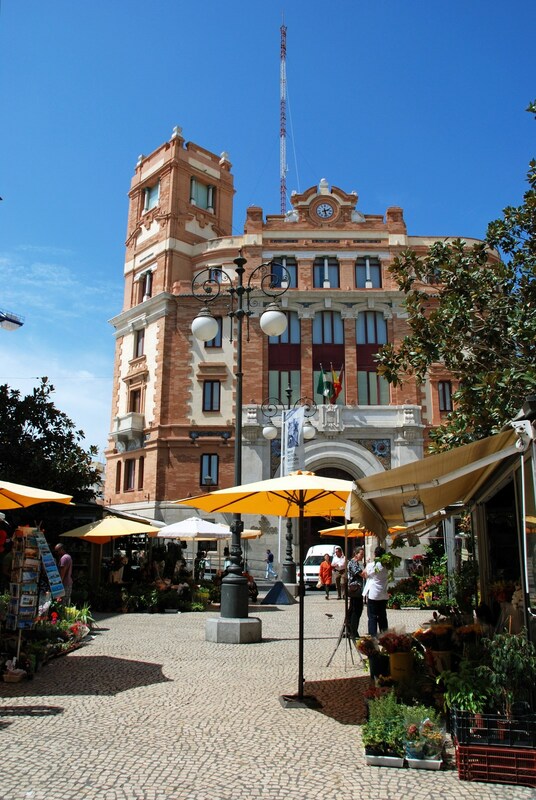 CADIZ, SPAIN – SPETMEBER 8, 2008 – Flower stalls and cafes in the Plaza de las Flores with the Post Office building to the rear Cadiz Cadiz Province Andalusia Spain Western Europe, September 8, 2008. 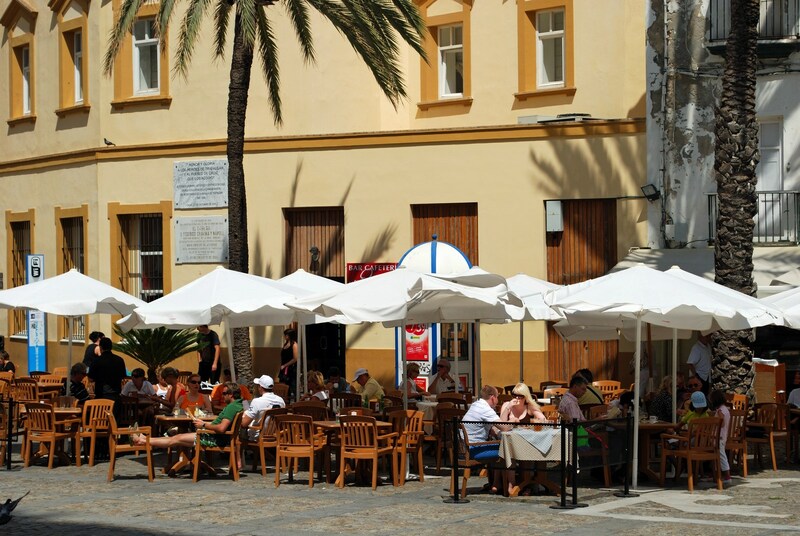 CADIZ, SPAIN – SEPTEMBER 8, 2008 – Tourists relaxing at pavement cafes on corner of Plaza de las Flores and Colunela Cadiz Cadiz Province Andalusia Spain Western Europe, September 8, 2008. 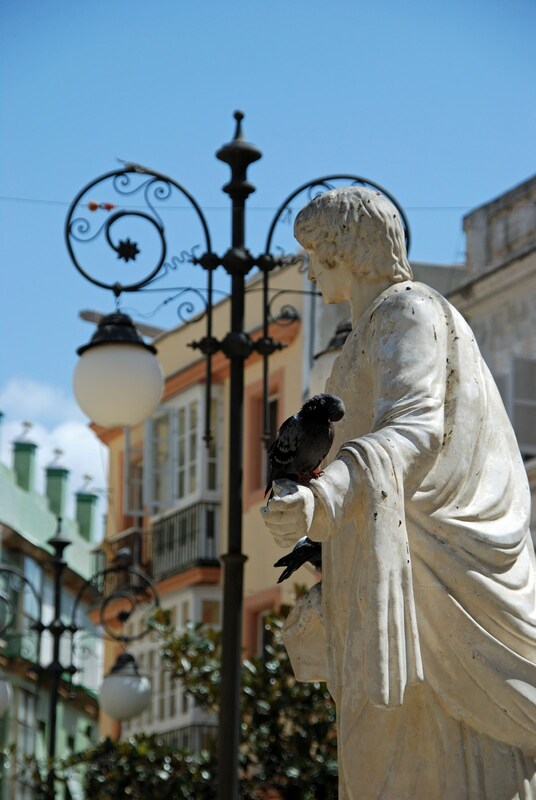 Marble statue with a pigeon on its hand in the Plaza de las Flores Cadiz Cadiz Province Andalusia Spain Western Europe. 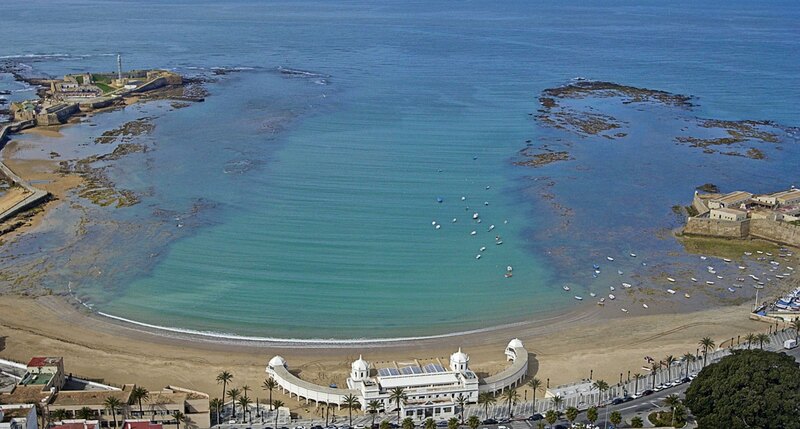 CADIZ, SPAIN – SEPTEMBER 8, 2008 – Holidaymakers relaxing on La Caleta beach with the pier to the rear Cadiz Cadiz Province Andalusia Spain Western Europe, September 8, 2008. 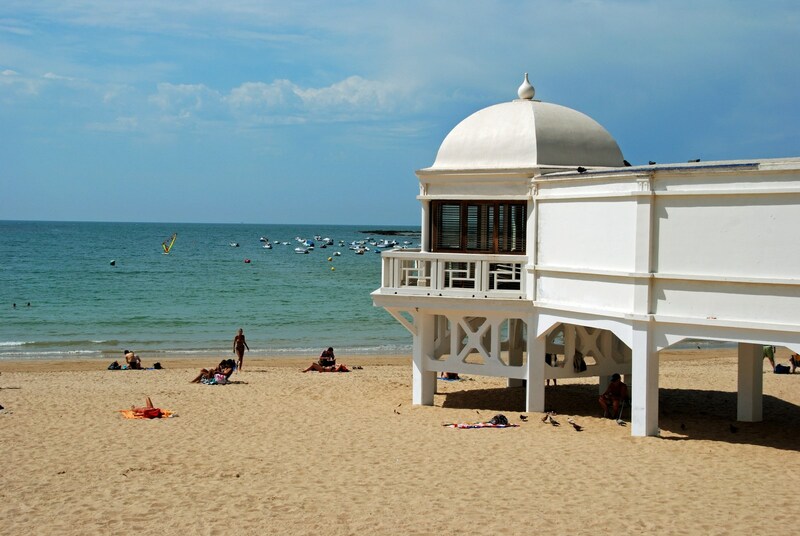 CADIZ, SPAIN – SEPTEMBER 8, 2008 – Tourists relaxing on La Caleta beach with the pier to the right Cadiz Cadiz Province Andalusia Spain Western Europe, September 8, 2008. 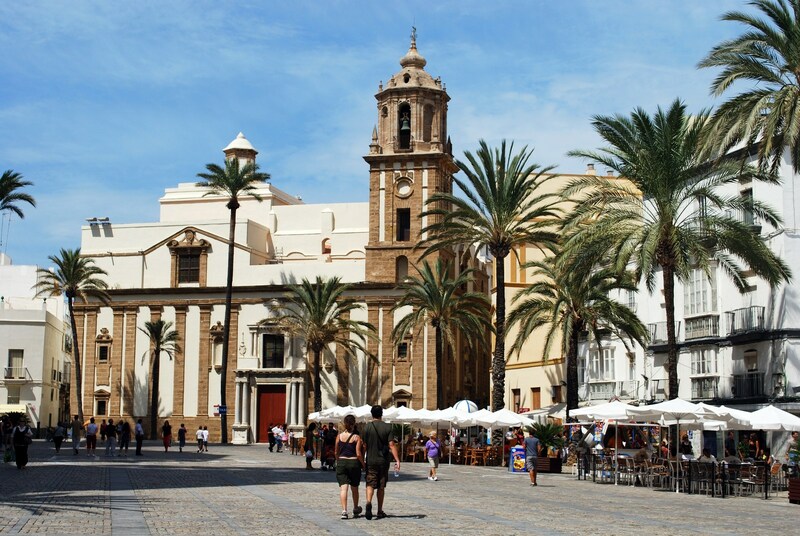 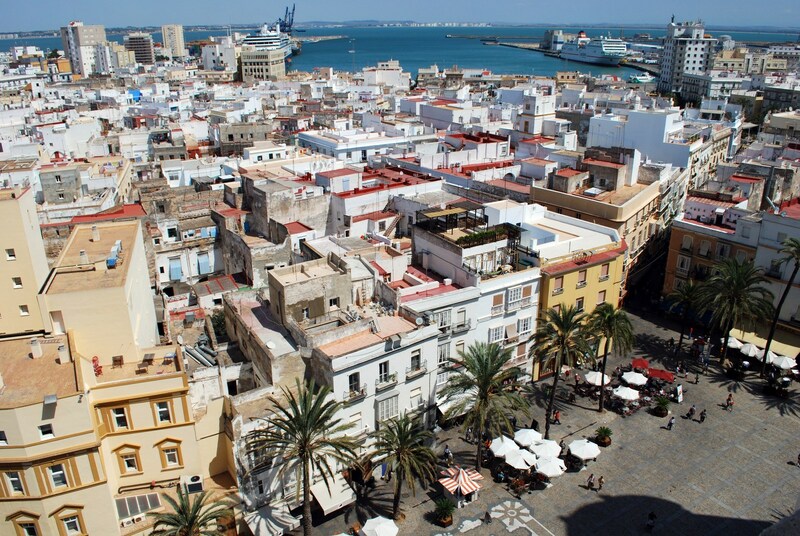 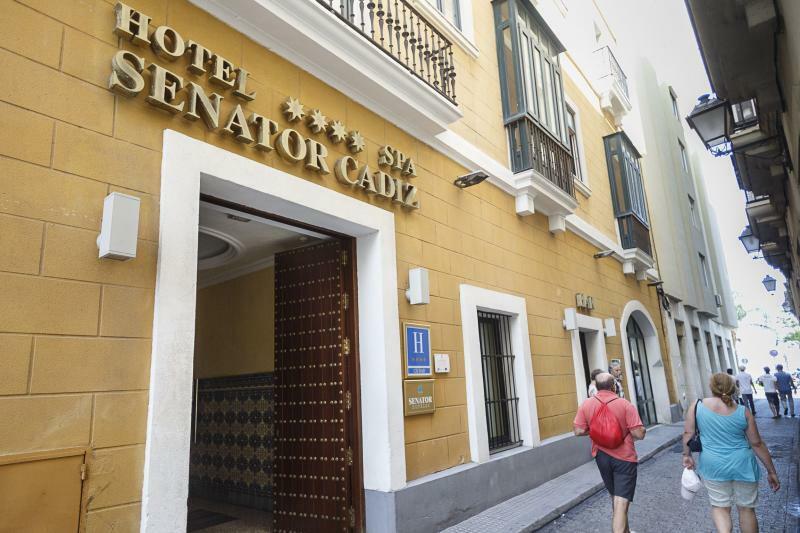 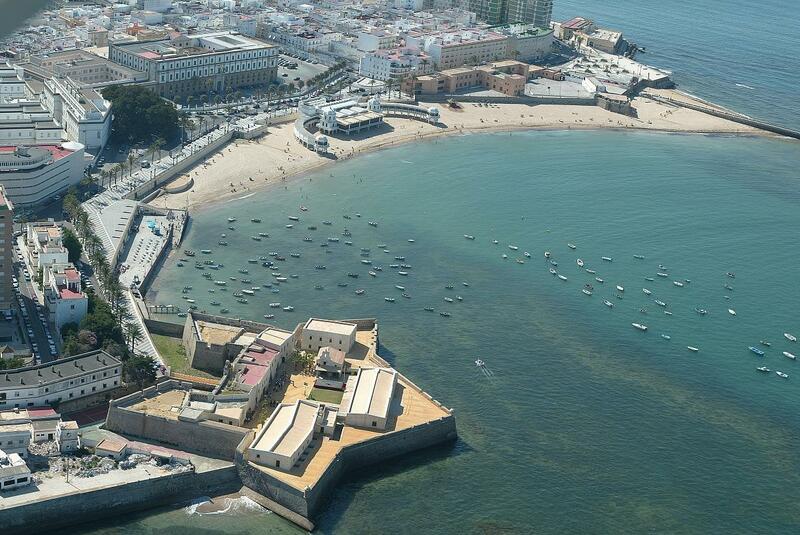 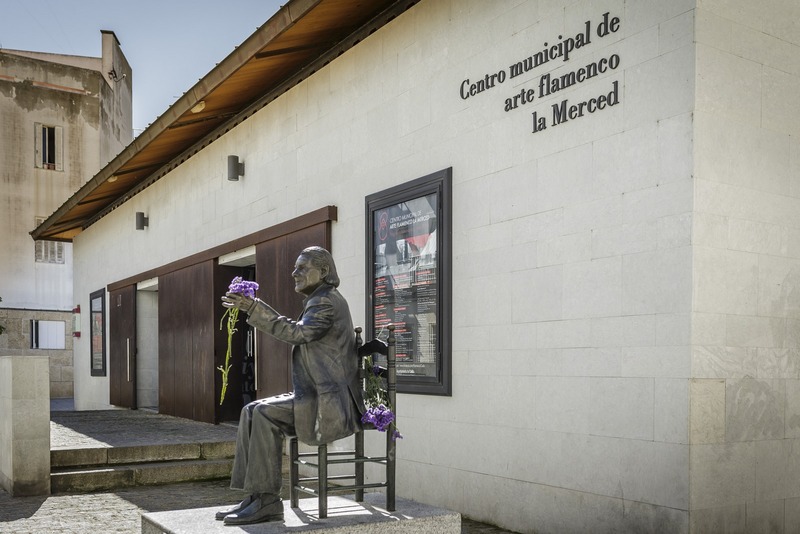 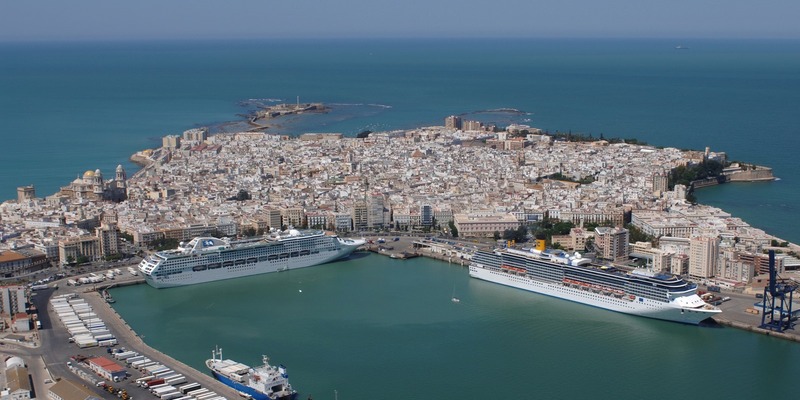 Cadiz, Spain – June 21, 2015: Ancient Cadiz city in southern Spain. 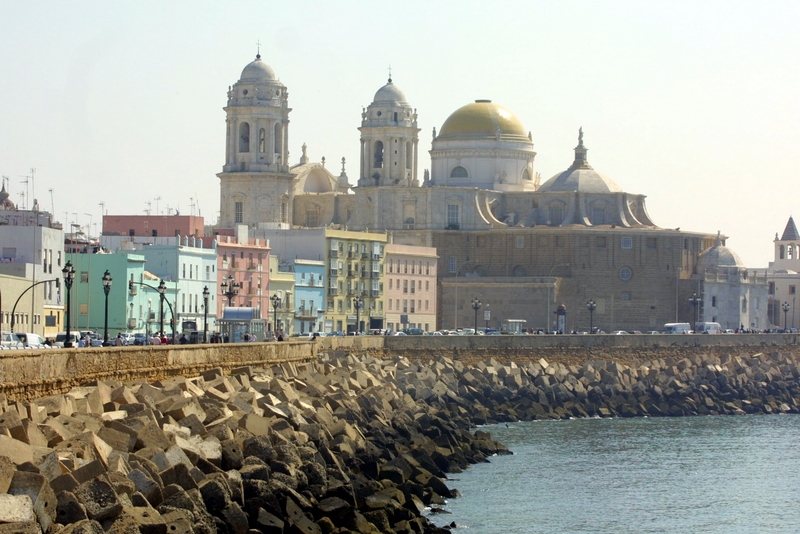 Cadiz Cathedral and old town. 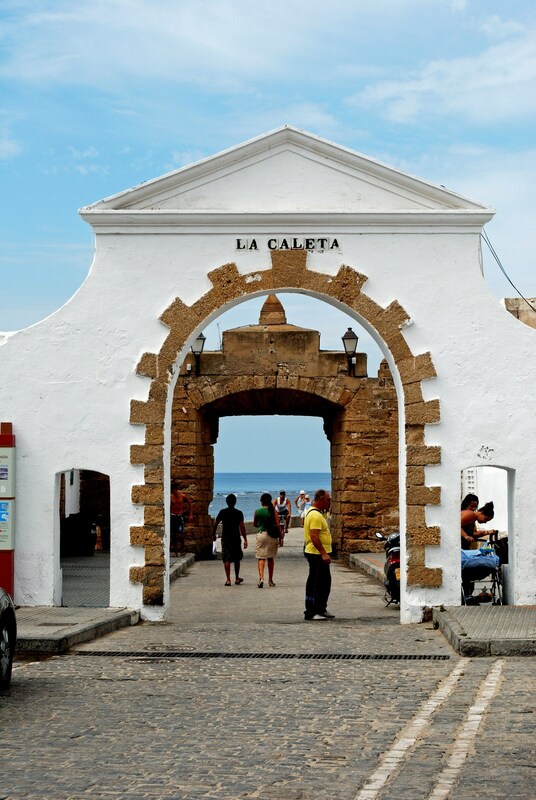 CADIZ, SPAIN – SPETMEBER 8, 2008 – Entrance arch leading to La Caleta beach with the sea to the rear Cadiz Cadiz Province Andalusia Spain Western Europe, September 8, 2008.